How Smart are You? No, Really. What is smart? For much of my life I thought smart was where you went to school, a grade point average or the ability to understand physics. I thought “smart” sat next to your name if you were a graduate of the University of Chicago or Princeton or were an attorney or doctor. I’ve discovered there are many definitions for “smart” and one is –“Someone who knows what they don’t know” and who remains curious. A past client of Homebuyer Associates, a Ph.D. professor, brought this to my attention last week. He contacted me with some real estate questions and noted,“I’m smart enough to know what I don’t know.” Bravo. When I coached Varsity boy’s basketball, fans would yell, “Play smart.” I always wanted to ask them what they meant. In basketball “smart” changes based on circumstances. In March, I watched a local high school team lose a regional final because the coaches didn’t coach smart. Up by 7 points with 3 minutes remaining and the other team in the super bonus, they didn’t switch to zone, instead staying in a man-to-man defense. Man defense was smart for most of the game – but not the last 3 minutes when they needed to “eat clock” and limit fouls. They lost the game. In real estate “smart” can change based on circumstances. There is much going on in real estate today that – if you aren’t smart enough to know what you don’t know – you are at risk. Behavioral economics, a buyer’s confusion with want vs. need, unjustified panic (much loved by the real estate industry), misinformation or unfettered words in the guise of information can place you in harm’s way. I don’t say this to scare you into using our services – I say it because it’s true. I am amazed everyday by the decisions some people make (not clients of ours) with the largest expenditure of their lives. In the coming weeks I’ll illustrate through case studies mistakes many homebuyers are making. Not being smart could cost you. As a former high school and small college basketball player and coach I felt bad for those kids who didn’t win the regional final. They were kids and paid the price for coaching that wasn’t smart. I don’t feel the same for homebuyers who make less than smart choices. They are adults who chose not to get objective information and who fell prey to marketing. It’s only going to get worse – more on that in my case studies. In the end, it’s your money. You’re the coach. It’s your responsibility to play smart. 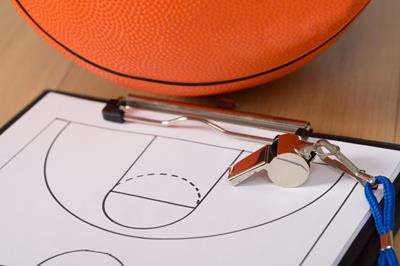 Unlike the fans that sat behind my bench but never defined smart, I’ll attempt to do just that in my upcoming real estate E-Notes so stay tuned for my opening tip (call it Spring Madness) in my next E-Note. Share my newsletter with your friends (The share link is located above the headline.) It could save them a great deal of money and they might learn something about basketball.